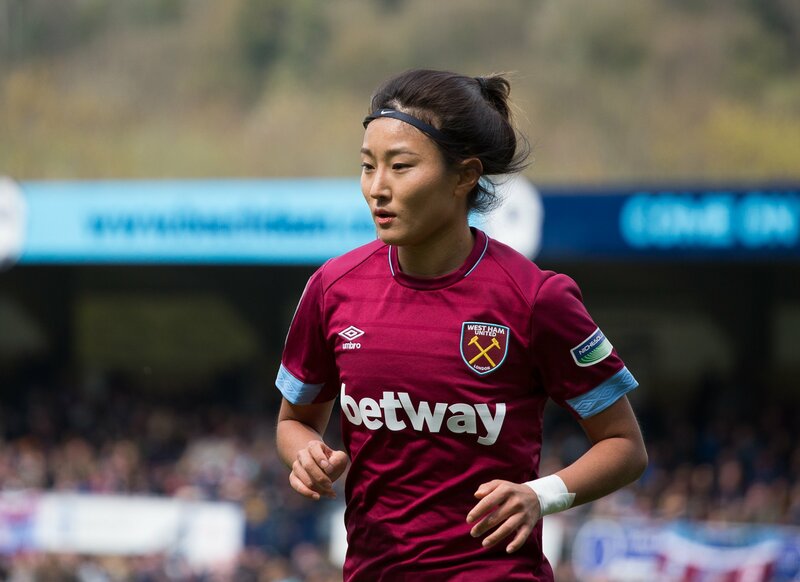 West Ham United reached their first ever FA Women’s Cup final in a dramatic penalty shoot-out ending with the winner struck by South Korean midfielder Cho So-Hyun, WRITES TONY LEIGHTON. Both sides missed two spot-kicks in a nervy shoot-out after the game had ended all square after extra time. After a first half of few chances striker Rachel Furness headed the Royals in front, but the scores were quickly levelled by right winger Alisha Lehmann. Fara Williams then missed a Reading penalty, and the veteran England midfielder also wasted a simple chance in stoppage time. And so it went to penalties to conclude a combative, no holds barred contest that had burst into life after an entertaining but unproductive first half. The deadlock was broken with a fine Reading goal four minutes after the break. Captain Jo Potter struck a long free-kick into the path of midfielder Jade Moore, whose first time cross from the right was headed into the top corner by Furness. Unfortunately for West Ham, midfielder Lucienne Reichardt sustained a head injury as she challenged Furness for the ball and after a lengthy spell of treatment she was replaced by substitute Brianna Visalli. The visitors quickly re-organised their line-up though, and in the 57th minute they drew level when Lehmann’s low 18-yard shot crept just inside the far post. 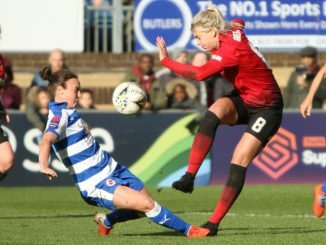 That sparked a frantic spell of play in which Reading were denied a penalty when Potter was booked for simulation – then handed a 69 th minute spot-kick as Hammers captain Gilly Flaherty blocked a Lauren Bruton shot with her arm. 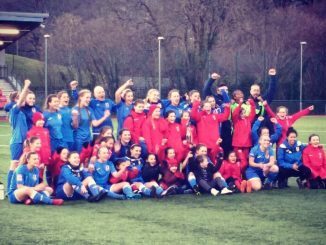 Williams fluffed the chance to hit what could have been a winning goal, striking her penalty against the foot of the post. 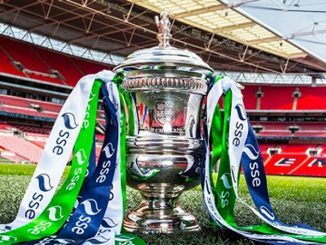 And after both sides had missed the target from chances in the closing stages, Williams was again wasteful as she dragged a close range shot wide of the far post four minutes into stoppage time. The 30 minutes of extra time brought few sights of goal at either end – but then came the decisive shoot-out that took the Hammers to Wembley. Reading (4-3-1-2): Moloney; Harding, Bartrip, Potter (Howard 104), Pacheco; Moore, Bailey (Honnudottir 67), Allen; Williams (Davison 104); Bruton, Furness. West Ham (4-1-4-1): Moorhouse; Simon (Sampson 104), Flaherty, Hendrix, Rafferty; Reichardt (Visalli 52); Lehmann (Kmita 118), Cho, Longhurst, Kiernan (Leon 57); Ross.